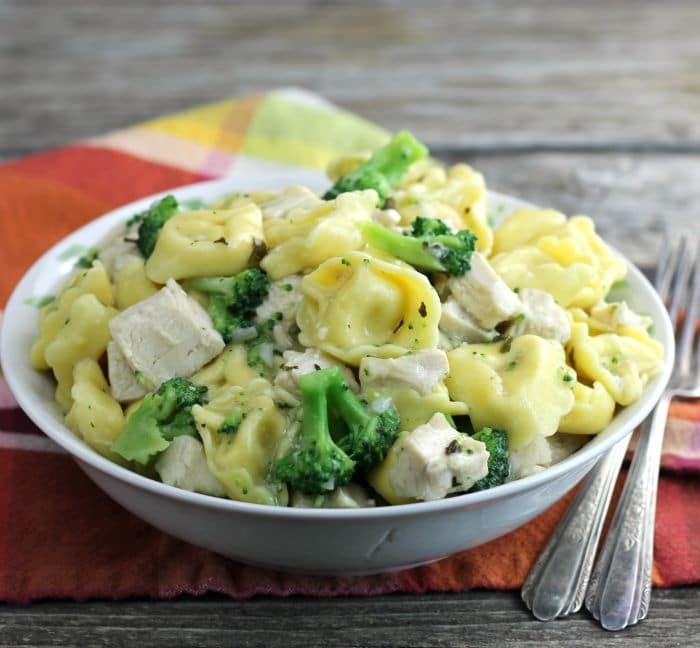 Cheese tortellini with chicken and broccoli a meal that comes together in less than an hour. This dish fills your house with the most amazing aroma. I love the smell of the lemon and basil as they cook. We started buying tortellini when our kids were teenagers. I can my own spaghetti sauce each year, so they would like to cook up a helping of tortellini and smother it in spaghetti sauce for a quick weekend lunch. I think they still enjoy this simple lunch. Over the years I have tried a few recipes with this cheesy pasta. 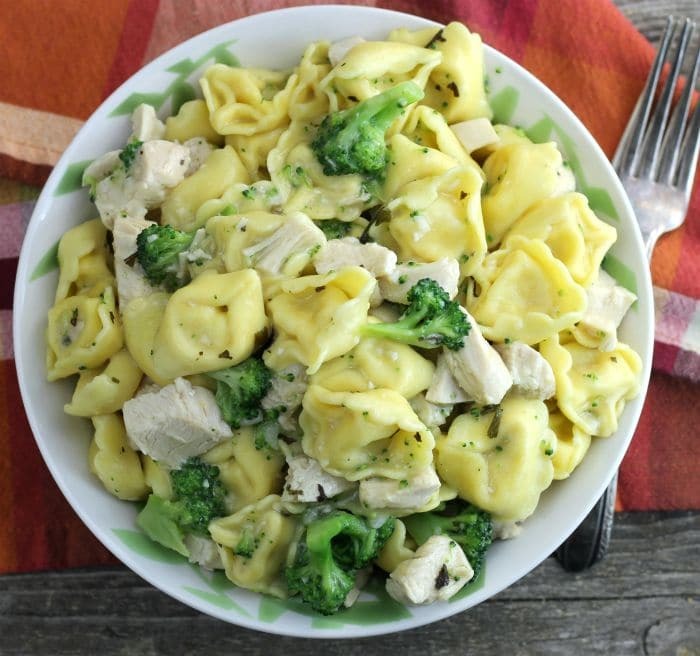 My latest on being this cheese tortellini with chicken and broccoli dish. It’s a simple dish with loads of flavor. I love the flavor of the garlic, lemon and basil combination. A pasta that is shaped in small rings and is usually filled with cheese or meat. It is usually served in soups or with a sauce. 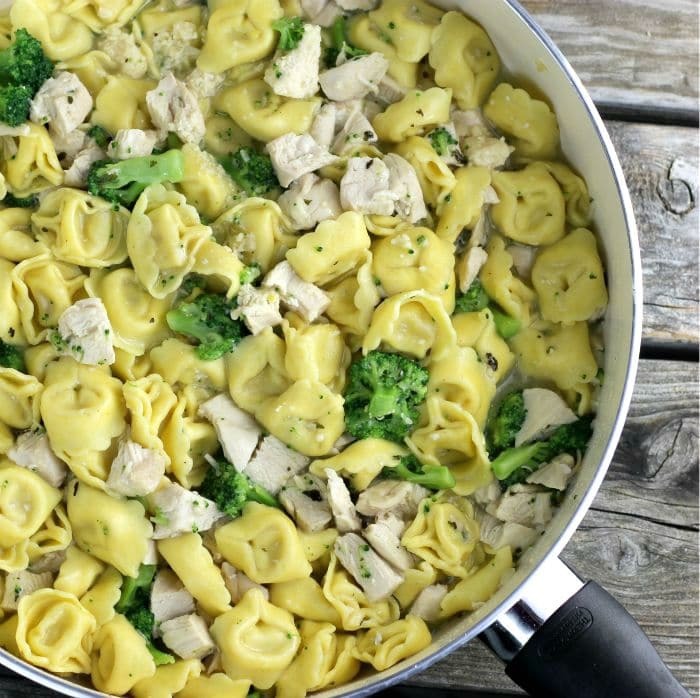 How do you know when tortellini is done cooking? When the tortellini is floating on top of the water you know that it is done. Heat water in a pan and bring to water to a boil. Add the broccoli and cook for 2 to 3 minutes or until fork tender. Remove with a slotted spoon and set aside. Cook the tortellini according to the directions on the package. While the tortellini is cooking prepare the sauce for the dish. In a large skillet melt the butter. Add the garlic and basil cook for a minute or two until the garlic softened. Mix the cornstarch with chicken broth. Add the broth to the skillet and bring to a boil and cook until the sauce begins to thicken. Add the lemon zest and stir in. 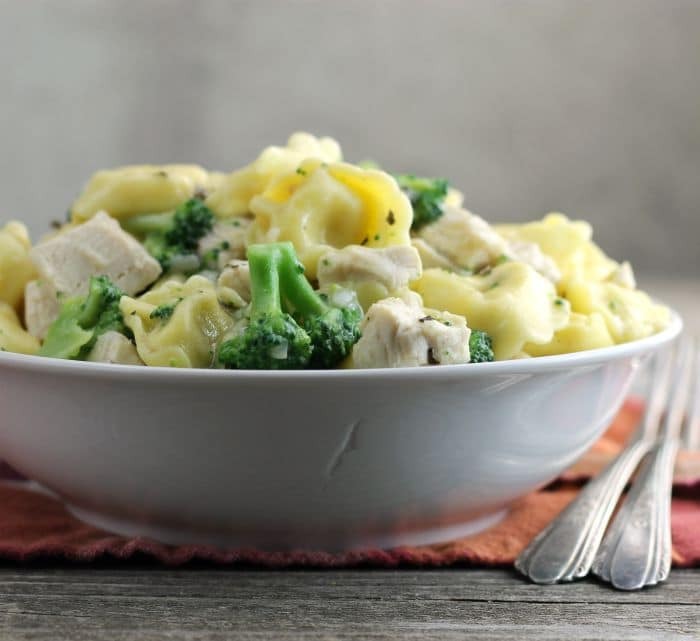 Stir in the tortellini, chicken, and broccoli and simmer for 3 to 5 minutes, so to warm the chicken and broccoli. Add the Parmesan cheese and stir in. Season with salt if needed. Quick, healthy and delicious meals are way to go! Thanks for sharing, Dawn. I did know that about the floaters, yes. Great tip. We love tortellini too! It sounds so good in this dish — such a nice combo of flavor. Very healthy too — always a good thing. 🙂 Thanks! I love tortellini! My mom used to make it a lot when I was growing up so I know I’d love this! Great dish, Dawn! We love tortellini! I had never heard of it until we moved to Chicago area years ago, and loved it from the first bite! Good floater tip!